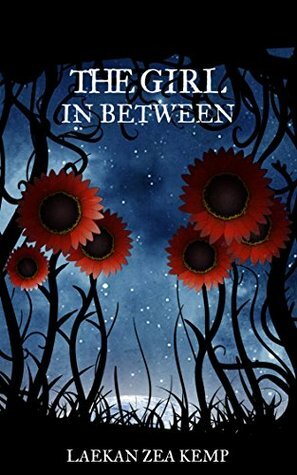 The Girl In Between by Laekan Zea Kemp – Books, Books and More Books! I think I’ll start this review with what I said after the last page. NOOOO! I was attracted to the title of this book and to be honest I was intrigued by the author’s name. After just coming off some serious political reads, I needed something just for me. What I got was Bryn, a teenager, who lives with KLS, which causes her to “sleep” for days, weeks, and even longer. But Bryn is not your typical KLS patient. When she sleeps, she goes to an alternate world, made up of all of her memories. This isn’t a dream, it is all real and she is the only person there. That is until a boy washes up on her beach with no memory of how he got there or who he is. Bryn is determined to find out who and where he is. Trying to fit that in with her clinical trials, family drama, and her more frequent episodes of sleeping. When her doctor calls her in to meet with a specialist from Germany about new trials, she finds out there is more to this doctor than meets the eye and with the help of her friends she finds out what that is. In the meantime, in the in between, the boy is starting to remember and it isn’t good. Bryn must find him, his body and bring him back to the land of the living and nothing is going to stop her. The best books are the ones that leave you wanting more and I am definitely getting more. Today! I can’t wait to see what’s in store for Bryn next! The One with the Most Followers Must Win!